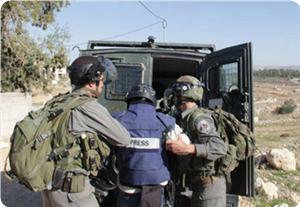 The Israeli occupation forces (IOF) kidnapped at dawn Monday five Palestinians, including a journalist, in raids in different West Bank areas. Local sources reported that Israeli troops invaded Yamoun town at three o'clock in the morning, and broke into and ransacked the house of citizen Mahmoud Abul Heija and kidnapped his son Mohamed, 20, and took him in chain to an unknown place. The sources added that the IOF stormed the towns of Silat Al-Harithiya and Zabuba west of Jenin city and established a checkpoint at the entrance to Zabuba town and embarked on searching vehicles. The IOF also kidnapped last night a journalist and a citizen in Tel Rumeida neighborhood in Al-Khalil city and took them to an unknown place. According to "youth against settlement" group, the IOF kidnapped journalist Abdul Aziz Nofal as he was making a report on Israel's settlement activities in the neighborhood. The IOF stormed as well Balata refugee camp near Nablus city and kidnapped two young men after a violent raid on their house. The democratic press assembly in Palestine filed a complaint with the Palestinian attorney general in Ramallah against US president Barack Obama calling for arresting and bringing him to justice for the murder of Palestinian cameraman Mazen Da'nna in Iraq several years ago. Journalist Omar Nizal, the secretary of the assembly, said that the democratic press assembly possesses documents proving that the US army premeditatedly killed Da'nna in 2003. Nizal added that the documents prompted the assembly to file a complaint to detain and interrogate Obama in his capacity as the current military commander in chief of the soldiers who had killed the cameraman. 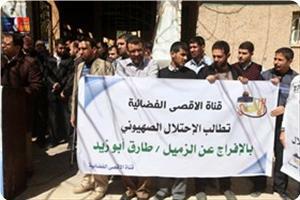 The complaint demanded the arrest of Obama soon after his arrival in Ramallah city. In a related incident, Palestinian popular groups in the West Bank invited the citizens to participate actively in the events slated to take place on Thursday to protest Obama's declared positions against the Palestinian cause. The coalition of the Palestinian popular forces said these events would be held in the morning today at Al-Manara roundabout in Ramallah city. In the Gaza Strip, Palestinian protestors on Wednesday afternoon burned US flags and pictures of Obama as his plane landed in the occupied Palestinian lands to denounce the American policies. The protestors marched from the Unknown Soldier plaza to the protest tent outside the headquarters of the UN in Gaza chanting slogans and carrying banners against Obama and his visit to the occupied territories. They considered that Obama's visit would aim to strengthen Israel's settlement activities and violations in occupied Palestine. The Israeli military court in Salem turned down a request by lawyer of cartoonist Mohammed Sabana to release him. The director of the legal section in the Palestinian prisoner’s society, Jawad Bulous, said that the military judge decided to retain Sabana in custody for further investigation. He said that the judge accepted the prosecution’s request for more time to prepare an indictment list against Sabana. The lawyer said that the judge gave the prosecution until Thursday to table its indictment despite the lawyer’s opposition for such delay. He added that intelligence interrogation did not prove that Sabana was involved in any violation or worthwhile charge. Detained journalist Mohamed Al-Taj, 41, is in urgent need of lung transplant operation, the Palestinian prisoner’s society said on Wednesday. The society warned in a statement that ignoring the operation for Taj, from Tobas, is tantamount to capital punishment. The society’s lawyer who visited the prisoner said that his condition was very serious and was dependent on oxygen tube for breathing. He said that hospital tests showed injuries in Taj’s lungs and blood closing all arteries and blocking breathing. The lawyer pointed out that the prisoner’s health condition was retreating rapidly and was waiting for doctors’ opinion in his case especially when he was told that lung transplantations were not available in the Israeli prison clinics. The Israeli military court in Ofer turned down a lawyer’s request on Monday to release Palestinian cartoonist Mohammed Sabana. Jawad Bulous, the lawyer, said in a press release that the Ofer judge said that Sabana should remain in Jalama detention until next Thursday for further investigation. He said that the Israeli military prosecution insisted on retaining Sabana in detention at the pretext of security charges against him, adding that the court said that there were security suspicions regarding his visit to Jordan. Sabana, who works with the Arab American University in Jenin, was arrested on returning from a visit to Jordan three weeks ago. Thamer Sabana, Mohammed’s brother, was also arrested a few days ago, which further convinced the court to retain both in jail for further interrogation. 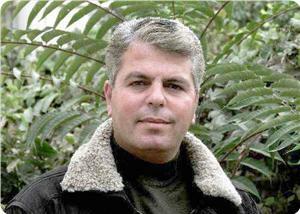 Thamer is an activist in Palestinian prisoners’ affairs. Palestinian human rights organization reported that the Israeli occupation authorities (IOA) have accused the correspondent of Al-Aqsa TV Tareq Abu Zeid, arrested last Friday, of "throwing stones at Israeli soldiers." International Solidarity Foundation for Human Rights, which has visited the journalist in Hawara detention center near Nablus in the northern West Bank, pointed out that "the occupation is accusing journalist Abu Zeid of throwing stones at Israeli soldiers, which was completely denied by the prisoner." It confirmed in a press statement that the occupation is trying to fabricate the accusation by claiming that other Israeli soldiers have witnessed the incident. 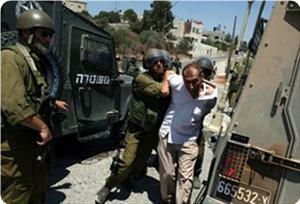 "The detainee was hit by Israeli soldiers during his arrest. His detention was extended for 96 hours pending investigation, and he is scheduled to appear before the Israeli Salem Court on Tuesday", the foundation revealed. For his part; Abu Zeid demanded the Journalists Syndicate and all concerned authorities to intervene to get him released, stressing that his arrest and "the fabrication of such false accusations" by the IOA aim to intimidate the Palestinian journalists and prevent them from exposing the Israeli violations. The Israeli occupation forces arrested journalist Tareq Abu Zeid, 38, last Friday while he was covering the march organized in the village of Kafr Qaddum, near Qalqilya, in protest at the occupation practices. The Palestinian government in Gaza strongly denounced the Israeli occupation forces for arresting a journalist and causing injuries to three others as they were covering events on Friday in the West Bank. The IOF kidnapped Tareq Abu Zaid, a reporter for Al-Aqsa satellite channel, and badly injured three others as they were covering different marches in the West Bank staged following the Friday prayers. In a press release, the government demanded the international community to put an end to Israel's violations against the Palestinian journalists and the freedom of the press. It said that the silence of the international bodies on such violations encourages Israel to persist in them. For its part, the forum of Palestinian journalists condemned the IOF for attacking the journalists and preventing them from conveying the truth. "Such assaults reaffirm that the occupation forces target the news personnel systematically, especially when they cover the peaceful marches and the repression and excessive use of violence that take place during them in an attempt to blur the crystal clear truth of its crimes and terrorism against the Palestinians," the forum stated in a press release on Saturday. It urged the journalists to continue exposing Israel's crimes to the world public opinion so as to prompt the international community to act against Israel's violation of the freedom of the press. Palestinian Media Forum denounced the arrest of the journalist Walid Khaled after the IOF raided his home in the West Bank, bringing the number of detained journalists to14 journalists. "The arrest of journalist Khaled demonstrates that we are facing open war waged by the occupation to keep journalists behind bars, in light of the international news organizations' silence," the Forum said in a statement on Sunday. The IOF arrested the journalist Khaled, 41, at dawn today after storming his home in the town of "Skak" in Salfit District in the West Bank, 6 months after his release from Israeli prisons where he spent 18 years, almost half of his life, behind bars, the Forum said. The Media Forum pointed out to the rise in the detained journalists' number since the beginning of this year to 6 following the arrest of the journalist Khaled, bringing their total number to 14 journalists. The media forum stated that this Israeli campaign against Palestinian journalists aims to keep journalists behind bars in a failed attempt to cover up the Israeli crimes. The Forum called for prosecuting the Israeli government in international courts against its open war against the Palestinian press and freedom of opinion in general. 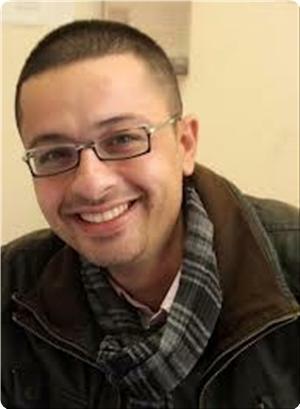 The detainee Walid Khaled worked as a journalist in "Palestine" newspaper in the West Bank, before being closed after the Palestinian division mid-2007, where he was arrested more than once in PA prisons. Israeli occupation forces (IOF) rounded up 13 Palestinian West Bankers and Jerusalemites at dawn Sunday including a journalist and an ex-prisoner. Palestinian sources said that IOF soldiers stormed Aida refugee camp in Bethlehem and nabbed six inhabitants after a search campaign in several houses in the camp. IOF soldiers also broke into the home of journalist Walid Khalid in Skaka village, Salfit district, and took him away only six moths after his release from Israeli jails. Ahrar center for prisoners’ studies and human rights denounced the re-arrest of Khalid, 41, who served more than 18 years in Israeli jails. The center called on the journalists’ syndicate and human rights groups to intervene and protect Palestinian journalists and men of letter from repeated arrests and targeting at the hands of the Israeli occupation authorities. IOF soldiers detained Mohammed Harb, also a liberated prisoner, from the same village of Skaka. 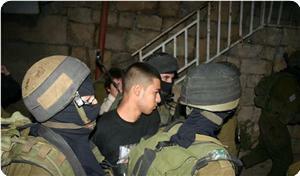 Five Jerusalemites were nabbed in the Old City of occupied Jerusalem aged between 18 to 19 years old. 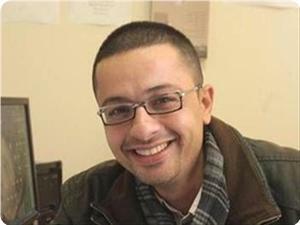 The Israeli occupation forces (IOF) on Friday kidnapped journalist Tareq Abu Zaid, a reporter for Al-Aqsa satellite channel, during his coverage of popular events north of the West Bank. Eyewitnesses told the Palestinian information center (PIC) that Israeli soldiers kidnapped Abu Zaid as he was covering the weekly anti-wall march organized in Kafr Qaddum village. They added that the troops rounded up the journalist and drove him to an unknown place. For its part, Ahrar center for prisoner studies and human rights condemned the arrest of Abu Zaid and demanded his immediate release. The center stated that the IOF attacked the journalists as they were covering their violations against the protestors in the village, noting there are 12 journalists in Israeli jails so far. In a related context, the European network for defending the Palestinian prisoners 'UFree' denounced Israel's persistent violations against journalists and human rights activists and called for releasing them immediately. UFree stated in a press release on Friday that the IOF kidnapped last Wednesday at dawn journalists Tamer Saba'na and Bakri Attili. It stressed that Israel's violations against the journalists are aimed at muzzling the truth, noting that the failure of the international community to hold Israel accountable for its actions encouraged it to persist in them. The Israeli occupation authorities (IOA) are incarcerating 11 Palestinian journalists the latest was taken from his home in Nablus at dawn Wednesday. The Tadamoun foundation for human rights said in a statement that Bakir Ateeli, 27, works as a cameraman and a news producer for a number of local and Arab satellite TV networks. 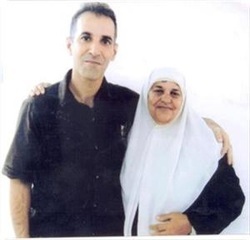 It recalled that he was previously held in Israeli jails for more than two years. The foundation charged the IOA with escalating the targeting of Palestinian journalists with the start of this year 2013, arresting four of them so far. It said that the oldest serving Palestinian journalist in Israeli jails is the Jerusalemite Yassin Abu Khadir, who has been detained since 27/12/1987 and is serving a 28-year sentence, noting that another Jerusalemite journalist, Mahmoud Issa, is serving the longest sentence among those detained reporters of three life sentences plus 41 years since 3/6/1993. In the same context, the Palestinian journalists syndicate urged human rights groups, press associations, local and foreign, and civil rights societies to step in and demand release of all Palestinian journalists from Israeli captivity. The Israeli occupation forces carried out several attacks on a number of Palestinian journalists during February, including arrests, repression and beatings, shootings and firing tear gas, in addition to preventing their coverage. The occupation assaulted 18 Palestinian journalists, including the press cartoonist Mohammed Saba'na, where they extended his arrest twice, in addition to preventing journalists from performing their job despite the risks they are daily facing, the Government Information Office said in a report issued Sunday. Concerning arrests, the IOF raided in February the journalist Amin Abu Warda's house in Balata refugee camp, east of Nablus in the occupied West Bank, and interrogated him after an unprecedented administrative detention that lasted for 10 months. 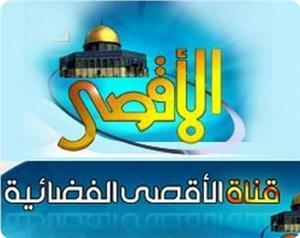 The IOF has also detained al-Aqsa TV channel staff for a period of time when they were on their way to occupied Jerusalem for documenting Israeli crimes. The IOF assaulted and detained 4 other journalists during covering events in Yatta town south of al-Khalil, in addition to arresting Pal Media Agency cameraman Abdul Ghani Natshe for more than 24 hours, during which he was subjected to very harsh treatment. The Israeli occupation forces arrested the journalist Amer Abu Arfa, Shihab News Agency's reporter, after raiding his home in al-Khalil on 21 August 2011, where he was transferred to administrative detention, noting that he was arrested several times by PA security services, in addition to serving 4 years in Israeli jails. The occupation forces have also arrested on Saturday the cartoonist at Al-Hayat Al-Jadida newspaper Mohammed Saba'na at Karama crossing while returning from Jordan. Israeli Courts extended on Wednesday and Thursday the arrest of the cartoonist Mohammad Saba'na for 7 and 8 more days pending investigation, and refused his lawyer's request to release him until the end of the investigation. Regarding wounding journalists, Palestine TV cameraman Bashar al-Nazzal was injured on Monday during covering weekly anti-settlement march in Kafr Qadum in Qalqilya. Dozens of suffocation cases were reported among the journalists following the suppression of Friday peaceful marches against the apartheid wall by IOF in different parts in occupied West Bank. On the same note, IOF suppressed and arrested a number of journalists while covering an Israeli attack on a Palestinian in Yatta town south of al-Khalil. 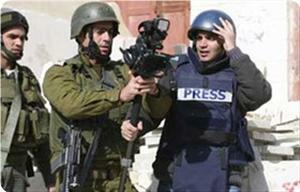 Israeli forces also attacked and brutally beat three journalists. Palestinian media forum has strongly condemned targeting journalists by the Israeli occupation forces, with live bullets and tear gas, while covering the West Bank's anti-settlement marches staged in solidarity with prisoners. At least two journalists were wounded in the clashes that erupted on Friday near the Ofer prison to the west of Ramallah during the events that took place in solidarity with Palestinian prisoners in the occupation jails. The Forum said in a statement on Saturday that the photojournalist Jihad al-Qadi was shot in the abdomen with a live bullet, while he was covering the demonstration and confrontations. 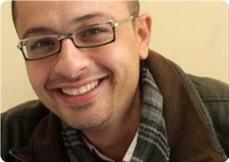 Al-Qadi was taken to Ramallah hospital where he is said to be in a critical condition. He was operated on by doctors and had to have part of his liver removed. 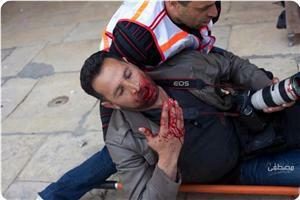 Photojournalist Ali Abu Rahma, 22, was also wounded in the same day when a tear gas grenade hit him in his abdomen. Dozens of civilians were injured as the Israeli forces have suppressed the weekly anti-wall march in Bil'in, western Ramallah. During the events, the occupation soldiers targeted a vehicle of live broadcast belonging to Palestine TV with gas grenades in an attempt to disturb the live coverage of the occupation crimes against the peaceful marches. Palestinian media forum said: "This assault confirms the occupation forces' systematic policy of targeting press crews, especially during coverage of the peaceful rallies, and the occupation's excessive use of force against marchers." The Israeli military court in Askalan decided to extend the remand of Palestinian cartoonist Mohammed Sabana for eight more days. The court turned down a request for his lawyer to visit him, adding that the ban would remain in force until 2nd March. The court even refused to allow the lawyer to speak to Sabana during the court hearing on Thursday and refused to release him on bail. Sabana family, in Qabatiya village in Jenin province, is concerned about his condition and over the pressures being exerted on Mohammed during his interrogation that started two weeks earlier. Jihad al-Qadi, a 23-year-old Palestinian photo-journalist, was seriously wounded Friday evening with a bullet that penetrated his abdomen during the clashes between the IOF troops and Palestinian demonstrators outside Ofer prison to south of Ramallah. Palestinian medical sources in Ramallah told PIC reporter that Qadi was taken to hospital suffering a serious injury as the bullet went through his abdomen, tore his spleen and went out of his back and that he was undergoing surgery. Another young Palestinian was wounded at the Qalandia roadblock with a bullet to the head. He was taken to Hadasa hospital. At the time of writing this report the identity of the victim was not known.